Butterflies and moths are among the most threatened groups of wildlife in the UK. They are also very important insects both as beautiful creatures that give a lot of pleasure and as indicators of the state of the remainder of our 24,000 or so (mostly unnoticed) insect species, see Why Butterflies Matter for more about this. Butterfly Conservation is a national charity formed in 1968 because of concern about the decline of butterflies. Since then it has grown into one of the most respected environmental charities through its research , reports and cooperation with other national and international organisations, for example see State of UK’s Butterflies 2015 and State of Nature 2016. Butterfly Conservation currently has over 30 Nature Reserves – all havens for butterflies, moths and other wildlife. The reserves are managed by a Reserves Team, ably supported by volunteers from our branches. Everyone is welcome to join in with the events and work parties on these interesting sites. Most of our reserves are open to visitors at all times, many are designated Open Countryside or have Public Rights of Way and some have SSSI designations and NNR status. You can find out about all the reserves at Butterfly Conservation Reserves. Guided walks around our reserves and other places of interest for butterflies, moths and wildlife in general. These are open to both members and non-members. The walks are great ways to explore the countryside, meet like-minded people and learn about wild flowers, insects and birds as well as butterflies and moths. We have work parties for habitat conservation work on our own reserves (see further down page) and some other sites that are particularly important for butterflies and moths. These are usually in the winter and are mainly concerned with removing trees and scrub that are encroaching on the areas required by butterflies, moths, wild flowers, etc. We have three main meetings each year – all well supplied with cakes and other refreshment. The Stroud and Cheltenham meetings are usually held in Minchinhampton and Shurdington and have presentations of interest to the local membership; many of the talks are by branch members but sometimes a speaker is invited from outside the county. The AGM is held in November and usually has a speaker from outside the branch. We have a branch management committee which is always keen to hear from enthusiastic volunteers, especially younger ones! Recording and monitoring of butterflies and moths is very important because it tells us what we have and if things are getting better or worse. Anyone can be involved at some level from the easy Big Butterfly Count or Garden Butterfly Survey to the very strict methods of the UK Butterfly Monitoring Scheme. 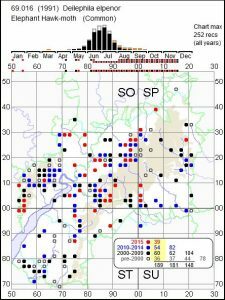 There is a Key Butterfly Sites Survey Team in the county which also feeds data into the UK database via our county recording scheme. If you would like to know more, please contact Vic Polley or Tricia Atkinson via the Committee & Contacts page. The National Moth Recording Scheme has one of the largest insect databases in the world and the records are mostly supplied by volunteers. The data is used both for scientific research and for informing government and other bodies about the state of the natural world. 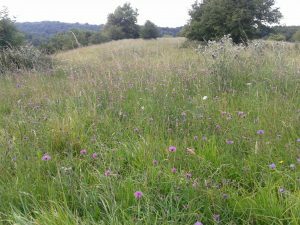 Butterfly Conservation owns three reserves in Gloucestershire. 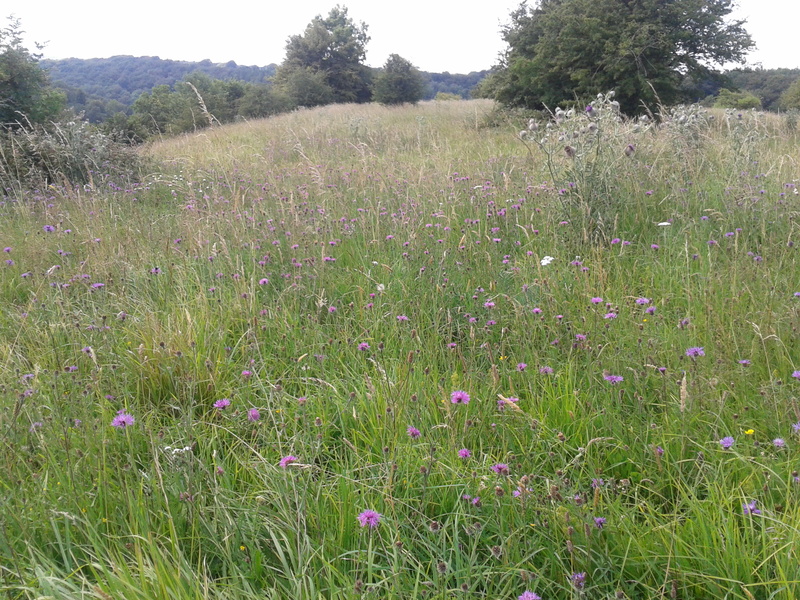 The habitat is maintained by scrub clearance grazing and other means for the benefit of butterflies and moths but, of course, it also benefits all wildlife including insect, birds and wild flowers. The reserves are open to the public. Rough Bank is our newest reserve and was acquired in 2012, you can download a Rough Bank Leaflet for more information. We also have pages about the species found on Rough Bank: Butterflies, Moths, Rare and scarce moths, Other invertebrates. The latest addition is a set of seasonal tours of Rough Bank, see Rough Bank Tours. We do not have a complete year yet so keep coming back to check. The other two reserves are the Bill Smyllie Reserve and the Masts Reserve, they are often simply referred to as the Prestbury Hill reserves. We have a leaflet for the reserves which is on a folded A3 sheet, you can download a version suitable for A4 printing here. We have location maps for the reserves on the Useful maps page. All moth records are sent to one of the county moth recorders, see Committee & Contacts to find your recorder. It is interesting to just look at the maps and the distribution of moths. If there is an area with no records for a species is it because the moth is not there or because noone has looked for it? 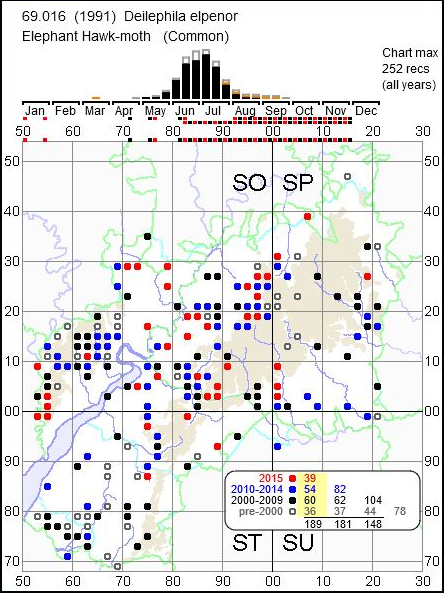 As a moth recorder when you find a moth that the maps suggest is either rare or not known where it was found then it should be verified by someone else; emailing a photo to your county recorder is usually the best way. They are accessible via a mobile phone which could be useful when ‘mothing’ away from your computer. Gloucestershire Moth Record Editor provides an aid to preparing records for the county moth recorder that can be used by people who do not have (or do not like) MapMate. Gloucestershire Moth Species Lists provides a means to see which moths are found in particular tetrads. 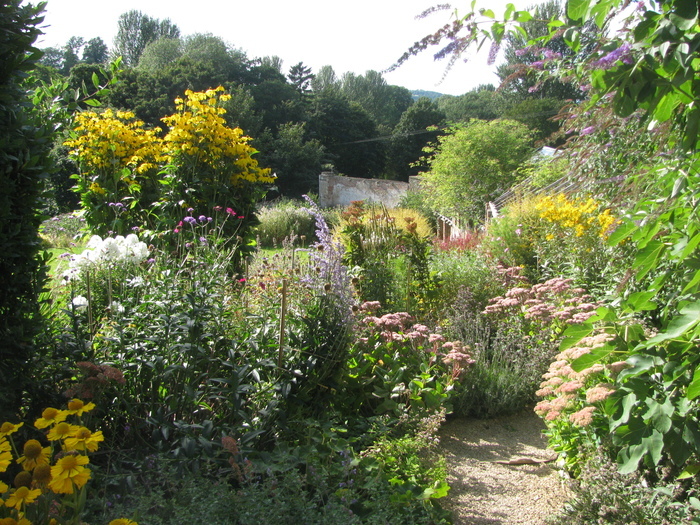 The Gloucestershire branch opened it’s first butterfly nectar garden at The Monastery Garden at Prinknash in 2010. So far well over 100 different varieties of plants have gone into making a very attractive area within the old walled garden originally tended by the monks of the Monastery. A Prinknash Plant List is available for download.